Avery Dimension Corporation is the world’s leading distributor and manufacturer of materials related to pressure-sensitive adhesive, office and other paper products. The company originally came up at Los Angeles in 1935. Mr. and Mrs. Ray Stanton Avery formed the company as Kum Kleen Products, under their partnership. 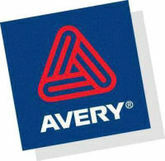 In 1937, the company was renamed as Avery Adhesives. However, in 1946, they were incorporated as Avery Adhesive Label Corp. In the years 1958 and 1964, the company was named Avery Adhesive Products, Inc., and Avery products Corporation respectively. With passage of time, it was again rechristened into Avery International Corporation in 1976. In 1930, they merged with Dennison Manufacturing Company and was again renamed as Avery Dennison. There are currently 0 consumer reviews about Avery Dennison Corporation available. Share your review. Please take a note that you are about to post a public review about Avery Dennison Corporation corporate office on CorporateOffice.com. This review will be public, so please do not post any of your personal information on this website. If you would like to contact the corporate offices of Avery Dennison Corporation, please use their contact information such as their phone number, website, and address listed above to contact them. However, sometimes staff from Avery Dennison Corporation headquarters do read the reviews on this website.